Europe should hold an annual car-free day in a bid to ease air pollution, the mayors of Paris and Brussels said Saturday on the eve of a vehicle-free day in their cities. The call came in a joint statement by Paris Mayor Anne Hidalgo and her counterpart in Brussels, Philippe Close, in which the two pointed to "the urgency of climate issues and the health impact of pollution". Both capitals will on Sunday hold their annual car-free day as part of the European Heritage Days 2018, a weekend of cultural events staged every year in countries throughout the bloc. 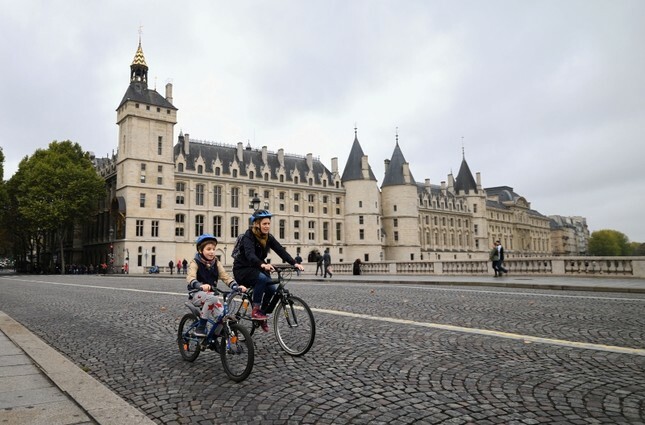 In Paris, City Hall had on Friday said six areas at the heart of the capital would remain traffic-free on the first Sunday of every month, including Ile de la Cite and Ile Saint-Louis, Louvre, Opera, Chatelet and the Marais. The plan will kick in from October 7, with cars only allowed on the major roads crossing these neighborhoods. Between 2017 and 2018, car traffic in central Paris fell by 6.0 percent, which reduced air pollution "by a comparable proportion," City Hall said, describing it as a "record" drop.